are exclusively handcrafted in Italy and designed by Ralph Lauren, one of the world's premier designers. What started out forty years ago with a collection of ties has grown into an entire world, redefining American style. 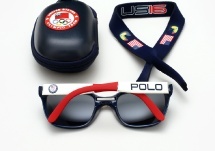 The Polo collection retains the trademark distinctive look, feel, elegance, and classic American charm of Ralph Lauren.